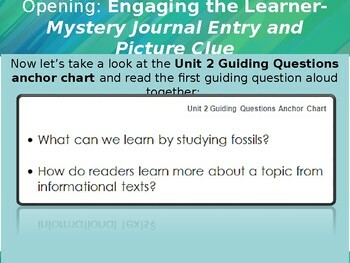 This ppt was created aligned to EL Education's Curriculum Module 2 for Grade 2, Unit 2, Lessons 1-12. 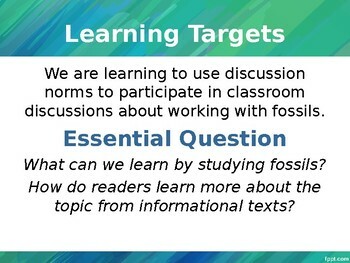 The Module topic is Fossils Tell of Earth’s Changes. 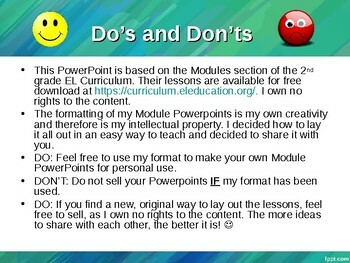 The ppt guides you through each part of the lesson including protocols, snips of the supporting documents, and suggested answers. My goal was to keep integrity and fidelity to the curriculum by including all parts of the lesson, but some lessons do not include every Language Dive. Some activities may have been modified or will require preparation of materials ahead of time. This resource is completely editable for teachers to adjust to fit their class needs! I ask that you use it for yourself and do not share. 1. Aliki. 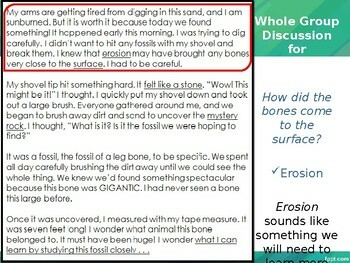 Fossils Tell of Long Ago. HarperCollins, 1990. 2. Squire, Ann O. Fossils. Scholastic Inc, 2013.